I was doing my daily dose of reading this morning of news, current affairs and general topics of interest when suddenly a realization hit me – how short all the stories that I was reading were and the fact that most of them were laid out in point form. Of course, me being a thinker, I immediately started musing of what had accounted for this and the word that kept on recurring was the Internet. Or, is it the Internet? The Internet has provided us with a powerful communications vehicle but the Internet in and of itself cannot change the way we communicate so drastically, or can it? Are we writers writing shorter pieces because of the communications vehicle, because of the competition we have from other information sources, or because of the so called short attention span of readers? Let’s premise that the attention span of the new reader is shorter? But, why is this? Is it because they are less educated, have more to go through in a day, or is the content offering simply not gripping and interesting enough to hold their attention? There is more media to consume today than ever in our history, I think that is an indisputable fact, but are readers so distracted by the amusement that can be had using media that they get lost away in a sea of ignorance, falling prey to the whimsical, and not being able to focus their attention for too long therefore missing what is important in life? The online marketers preach the idea of writing both for search engine optimization (SEO) and the reader, but can we truly do both? Sometimes, it is quite a stretch trying to work those long tail keywords logically into the script. But if we ignore writing for robots, will we be able to reach the human? If one believes in conspiracy theories - is this a way to dumb down the population to keep the masses distracted so that they would not resist the status quo? For example, have you ever checked out Bill Gates reading list? For someone who has made fortunes times over on Internet technology, he engages in some very heavy reading? None of the books on his 2016 reading list is a collection of bullet points. Gone are the days when we could write about more than one idea at a time. Not to lose the easily distracted reader we break down rich arguments and discussion into a one-dimensional soliloquy. Cheating both our self-expression and the reader’s intellect. What does this situation mean for writers? The purist probably must write books if ideas are to be thoroughly fleshed out. Writing on the Internet has become more promotional writing, fit more so for advertisers than storytellers whose primary goal is to fuel the intellect through rich authentic stories. 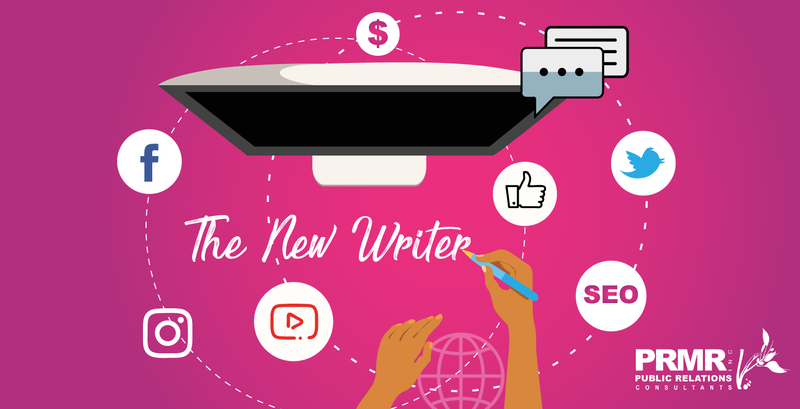 The new writer, or the Internet writer, then writes from a singular idea that is repeated for SEO, visual appealing, has no deeper meaning that what you are reading and writes in bullet or numbers.